Don McGregor has written a lot of comics. He’s also written a lot of good comics (an important distinction). Two of his most well-regarded runs were the Killraven features from Amazing Adventures (loosely based on H.G. Wells’ the War of the Worlds) and the Black Panther: Panther’s Rage storyline from Jungle Action. His graphic novel, Sabre: Slow Fade of an Endangered Species was actually published months before Will Eisner’s A Contract With God (which is widely considered “the first graphic novel”) and went on to later become an ongoing series. McGregor also went on to write non-super-hero comics, which was a bold move, at the time. 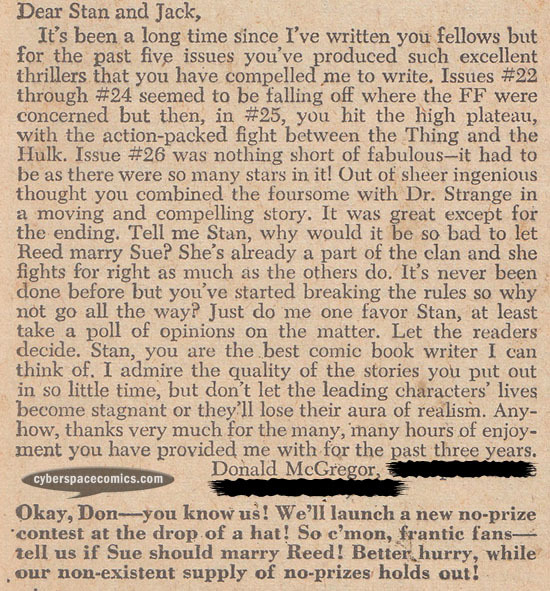 He got a letter published in Fantastic Four #33 (cover date – December 1964).